Plastic manifestations in Egyptian art remain almost unchanged for more than three millennia. Why? Art is something intimately linked with human feeling, with its conception of the world and with its ideology. But Egyptian art is the product of a collective feeling. It is no an individual matter. 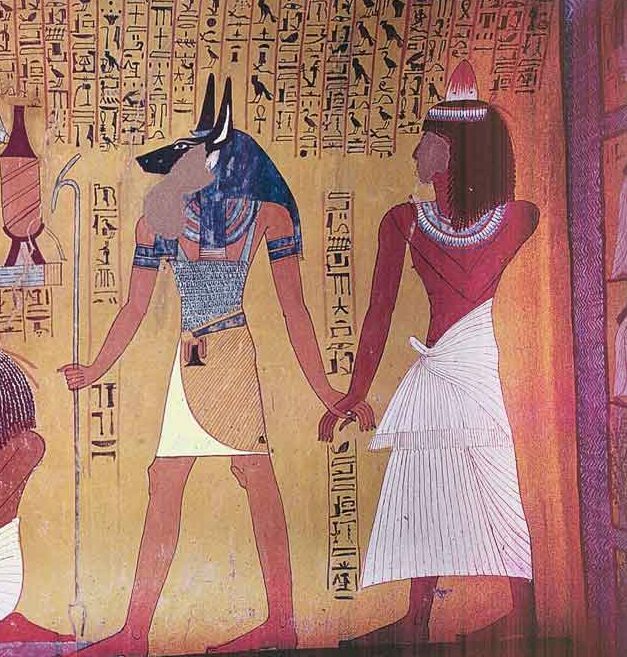 For that reason, Egyptian art must be conceived as an aesthetic, historical and cultural fact. Egyptian art is connected to Egyptian ideology. According to collective needs (ideological, spiritual, social…) the ancient Egyptians adopt their own system of representation. Theological and social conceptions establish the canons of Egyptian art. And those rules regulate the work of the artist and remain valid throughout the history of Pharaonic Egypt. Egyptian religion obviously suffers some evolutions throughout the time but the essence of Egyptian thoughts remains the same. Egyptian art is connected to Egyptian nature. The almost inalterability of their environment probably contributed to that uniformity in Egyptian art. The Egyptian society depended on a very ordered nature. It had cyclical and predictable changes, that fed the concepts of life, death and rebirth. The most crucial was the annual flood. The Nile flood was vital for Egypt because it originated the harvest of each year and the maintenance of the country. All the Pharaonic governments concentrated efforts on measuring the floods by means of nilometers established in different points of the country (this, along with the information of the type of terrain of the farmer, helped to calculate the performance and to determine the payment of taxes). The flood of the Nile started at the end of June. With it began the civilcalendar and also the ajet season. The waters flooded the valley lands for four months, fertilizing the terrains with the silt that they dragged. The last one was the shemu season. The land dried up progressively and was the period of the harvest. After the four months of drought another flood reactivated the cycle again. So, on earth the Egyptian environment was very organized. That contributed to the stability of ideas and uniformity in Egyptian Art.